What happens to a child who grows up in a neighborhood where selling drugs is considered the only viable option to generate income? Can children see themselves as entrepreneurs when there are very few successful examples in their neighborhoods? Can young people in neighborhoods defined daily as “bad”, “violent” or “deadly” take pride in themselves or their communities? Two area agencies, When We Dream Together, Inc., and the North Area Community Development Corporation, set out to answer those questions. 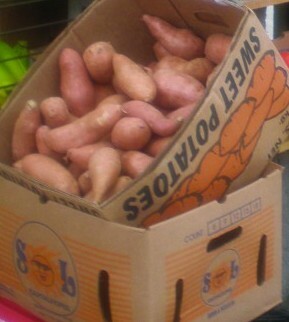 In collaboration with several engaged individuals, the agencies launched the Sweet Potato Project in the 21st Ward. The idea, Brown said, is to show youth that there are viable (and legal) ways to make money within their communities. This month, the North Area Community Development Corporation launched the Sweet Potato Project for at-risk youth in north St. Louis County. Gut Check spoke with founder Sylvester Brown, the former Post-Dispatch columnist, about the project and, of course, where all those tasty sweet potatoes will end up. The Sweet Potato Project is an entrepreneurial effort that aims to provide at-risk youth with the opportunity to learn more about small-business sales and marketing. The set-up is much like a paid internship for kids ages fifteen to eighteen. The teens are working together this summer to plant and cultivate sweet-potato crops. In the fall, they will work in teams to develop product ideas for the sweet potatoes: sweet potato fries? sweet potato chips? sweet potato pies? 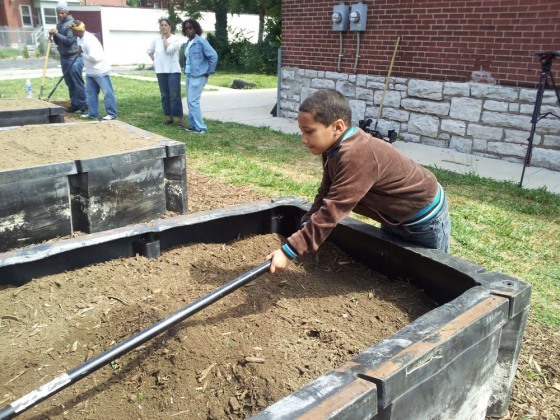 NORTH ST. LOUIS, MO (KTVI) – The Sweet Potato Project kicked off Saturday morning in north St. Louis, using an urban garden to give at-risk kids the keys to entrepreneurship. A small, dirt root held the secrets to financial empowerment for at-risk kids. Young men in middle and high school planted sweet potatoes at the 4500 block of Athlone. In the heart of North City, it was the ultimate urban garden. “We will spend the next 8 weeks teaching them how to turn the produce into a product,” explained Sylvester Brown, director of The Sweet Potato Project. By summer’s end the project would graduate its first class of entrepreneurs. “These kids will learn how to market it, how to brand it, how to create a website for it, how to go out and sell it to churches, how to see it to groups,” Brown explained. 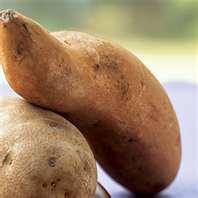 ST. LOUIS-This Saturday, June 02, 2012 from 9am to 1pm, volunteers and at-risk youth hoping to land a spot in a new, innovative summer program, The Sweet Potato Project, will plant sweet potatoes on a vacant lot in the 4500 block of Athlone Avenue in the 21st Ward. The program sponsored by the North Area Community Development Corporation is designed to show inner-city youth that there are “do-for-self” opportunities to generate money within their own neighborhoods without turning to the deadly drug trade that dominates so many low-income areas. During the 8-week program, students will earn a minimum-wage salary to harvest sweet potatoes, develop a sweet potato product and learn about packaging, website design, marketing, production and the distribution of the product they’ve created. Classes for the pilot program will be held in the public gathering sections of Julia Davis Library (4415 Natural Bridge Ave). A host of educators, entrepreneurs and professionals in the related fields of horticulture, small business, technology, banking, marketing, food production & manufacturing and more have volunteered to work with students. Sweet Potato Project kids will visit various businesses, worksites and other places for exposure and to learn “real-world” entrepreneurial skills. Karen Davis, regional horticulture specialist with the Lincoln University Cooperative Extension Urban Impact Center of St. Louis is one of those supporters. 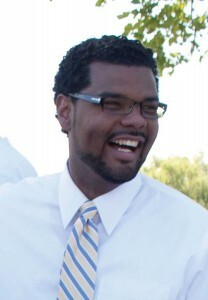 Antonio French, Alderman of the 21st Ward is another. French has donated a vacant lot he owns and Davis will oversee “Community Plant Day,” when volunteers plant sweet potatoes on the lot. 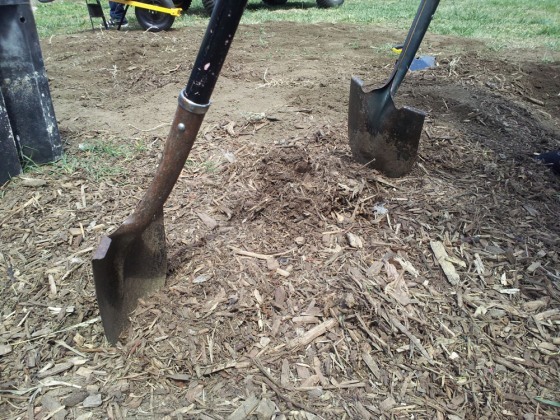 Numerous agencies and individuals who work with at-risk youth have been asked to bring potential students to work at least one hour during Community Plant Day. The youth will be interviewed and given information to share with their parents or guardians. Only 10-15 will be selected to participate in this year’s summer pilot project. NACDC, a 501 (c-3) tax exempt organization, which has a long history in youth-related programs and agriculture-based efforts has partnered with When We Dream Together, Inc. (WWDT), a local nonprofit dedicated to urban revitalization, to develop and administer the Sweet Potato Project. Classes are scheduled to begin on Monday, June 18th. The Sweet Potato Project program will kick off next month with classes held at Julia Davis Library at 4415 Natural Bridge Avenue in North St. Louis. The program has received tremendous support from Aldermen Antonio French and other supporters in the 21st Ward, such Floyd G. Graves. Sr. Regional Branch Manager at Julia Davis. French has allowed NACDC to plant sweet potato slips on a vacant lot in the 4500 block of Athlone Ave.
We are inviting residents, potential students for the program and anyone who wants to support this worthwhile project to join NACDC on Saturday, June 2nd from 9-to-noon as we plant our first sweet potato crop. Karen Davis, Regional Horticulture Specialist with the Lincoln University Cooperative Extension Urban Impact Center of St. Louis is overseeing the planting process. 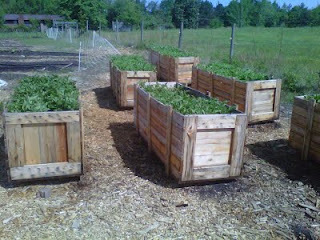 We will be planting the slips in four beds (18″ deep and 4′ wide and 8′ foot long). Everyone is welcome. Just send an email to whenwedreamtogether@gmail.com letting us know you plan to attend or call 314-351-7222 for a verbal confirmation. Sweet potatoes are an excellent vegetable crop that is high in fiber and vitamins A and C, low in fat and is considered a very nutritious vegetable. While crops are growing, students involved in the pilot program will work with a cadre of professional volunteers who will help them develop a sweet potato-based product(s), create the recipe(s), learn about branding, marketing, website design, distribution and other entrepreneurial skills. Our goal is to have them ready by Fall to make presentations and take orders for their product from church and civic groups, online and through other sales techniques. Imagine the symbolic and real-life benefits of creating a product from communities where there are very few examples of business success. We’re hoping this project in the 21st Ward serves as a seed that will grow to serve more students and eventually become the template for the creation of self-sustainable jobs and businesses in disadvantaged areas. Today, however, we are starting with a vacant lot, classes at the library and a host of benevolent, engaged individuals and supporters. We are still seeking sponsorship and individual donations. Please join us in the truly grassroots effort that has the potential to impact the lives of young people and communities in need of innovative and progressive change. The Sweet Potato Project pilot program will kick off next month with classes held at Julia Davis Library at 4415 Natural Bridge Avenue in North St. Louis. NACDC officials accepted the Library’s gracious offer to host classes in its public spaces for several reasons. 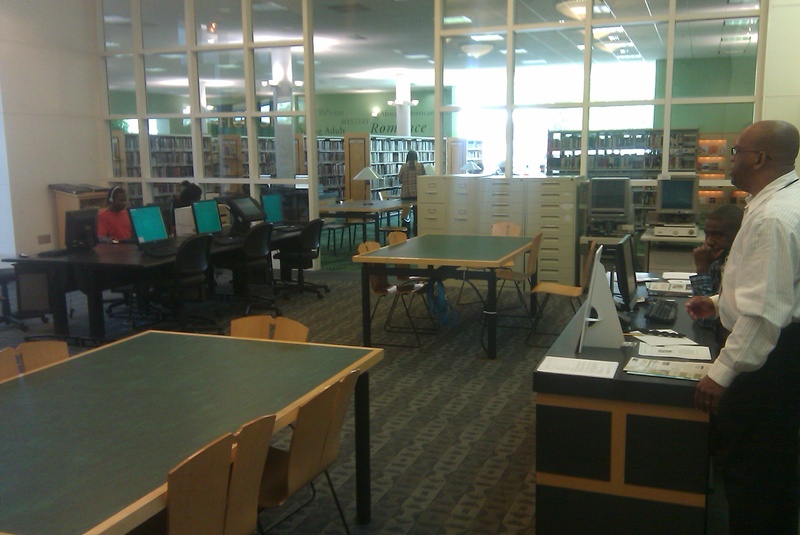 The library’s location in the 21st Ward is easily assessable to students. The vacant property where the sweet potatoes will be planted has been provided by the ward’s alderman, Antonio French. It is in the same general location of the library. Additionally, Julia Davis staff members will be on hand with a wide variety of resources the students will need including computer and Internet training and access to relevant educational material. The Sweet Potato Project has reached out to a professional educational consulting group and to coordinate and conduct classes. NACDC has also extended invitations to area educators, counselors, volunteers, entrepreneurs and representatives of lending institutions, marketing companies and food manufacturing and distribution companies to partner with the project to educate youth on the essentials of food growth, product development, production, marketing and distribution. 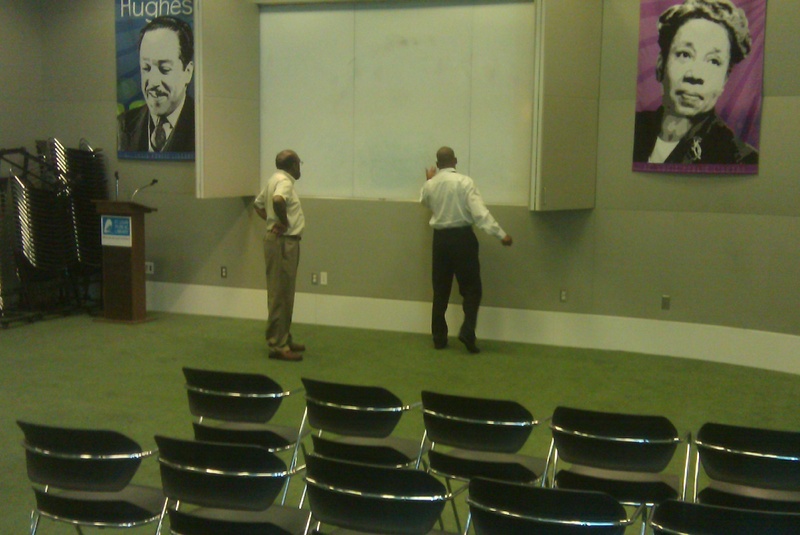 The library’s presentation room will serve as an excellent venue for lectures, demonstrations, movies and other related educational activities. NACDC would like to thank Julia Davis Regional Branch Manager, Floyd G. Graves. Sr. for reaching out and the staff at Julia Davis Library for their contributions to the Sweet Potato Project. Commentary by Sylvester Brown, Jr.
May 10, 2012-Next month, the North Area Community Development Corporation (NACDC), When We Dream Together, Inc (WWDT), and a host of community partners will officially launch a nine-week summer program for North St. Louis “at-risk” youth called “The Sweet Potato Project. Our ambitious but basic mission is to empower youth in disadvantaged communities by paying them a minimum wage salary to grow sweet potatoes, turn the yield into a product (cookies, pies, muffins, etc.) and then teach them how to create the brand, market and distribute the product they’ve created. At this point, our resources are limited but potential for inner-city transformation is great. Our goal is to foster a do-for-self mentality for a challenged generation of urban youth. We want to empower them with the knowledge that they don’t have to become involved in the deadly illegal drug trade to make money. We want them to understand there are viable opportunities right outside their doors. Today, we start with youth but this seed could easily grow to empower adults and generate economic activity in long-neglected, poor communities throughout our region. In a way, this effort is rooted in the message Booker T. Washington shared in 1895 when he urged former slaves to become self-sufficient through “productions of our hands.” The fact is, in this still ailing economy, we cannot expect the police alone to stem disproportionate crime and murder rates in our region or wait for the government to create programs aimed at teaching at-risk youth how to become self-sufficient entrepreneurs. This is a community responsibility and we’re issuing an all-hands-on-deck appeal to pull this endeavor off this summer. NACDC has applied for several grants and the outlook is promising. However, if awarded, nonprofit funding for the pilot program will most likely be granted in the fall or later. The majority of those funds will probably be applied to packaging and production of the student’s products and next year’s expanded programming. Therefore, we’re turning to the community to raise enough funds to launch this summer’s pilot program so we can pay 10-to-15 teen participants over the slated nine-week period. Consider this missive a community call-out. Of course, we need donations but we’re also looking for volunteer teachers, counselors and others willing to teach a related course for a few days. We need adults who can help us plant and harvest sweet potatoes; transport youth to area businesses and out-of-class activities and serve as role models and mentors. We want parishioners of churches and members of civic organizations involved and committed to purchasing bulk orders of the products the kids produce. In brief, we welcome anyone who wants to play a role in this worthwhile endeavor. We’re also looking for those who head banks and lending institutions, grocery chains, food manufacturing and production companies, culinary institutes and area universities. We need you as sponsors and as partners. We’re hoping representatives will host money management or manufacturing classes, meet with the kids and explain what they do and how they do it. In his Atlanta Compromise Speech, Booker T. Washington also said “…cast down your bucket where you are.” He advised people to make change with what they had at hand. This is the mantra of the Sweet Potato Project – a grassroots effort by every definition. We’ve “cast down our buckets” and have a solid foundation of supporters. Program advisors include a horticulture specialist with Lincoln University’s Cooperative Extension program, a renowned professor from the George Warren Brown School of Social Work and a Washington University MA, MBA business professional. Alderman Antonio French of the 21st ward has offered NACDC a vacant lot in the 4500 block of Athlone Avenue where we’ll soon plant the sweet potatoes. The president of the Educational Equity group is on board to help coordinate classes and programming and we’re talking with the director of the Julia Davis Library about holding classes there. 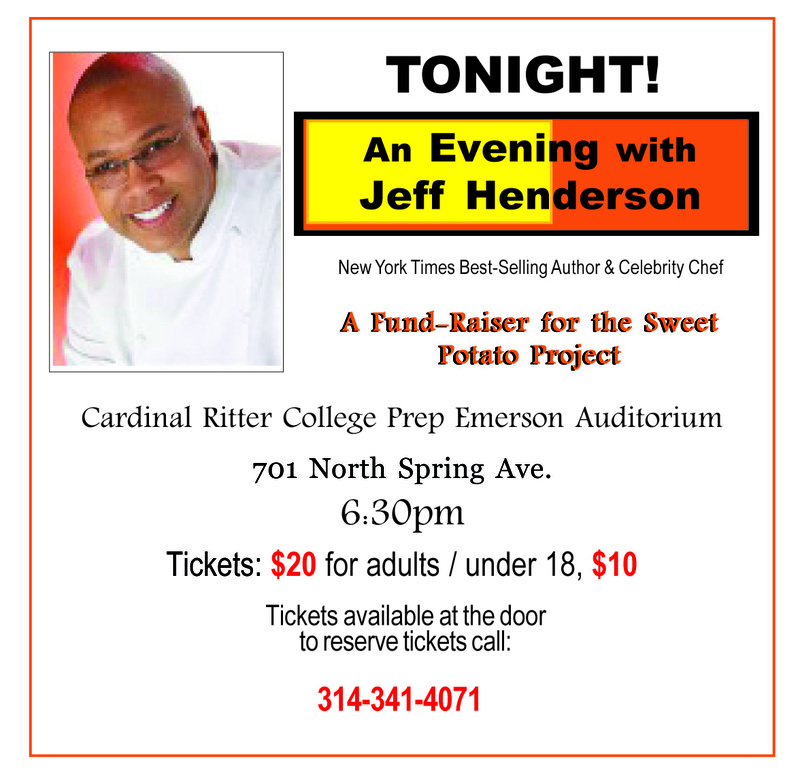 New York Times best-selling author and the Food Network’s celebrity chef, Jeff Henderson-who learned of the project while visiting St. Louis last month-has also offered to serve as keynote speaker at an upcoming fund-raising event. We are seeking support from everybody but it’s important to us that our kids also be surrounded by volunteers, mentors, educators, professionals and neighbors who look like them and help them develop and distribute a product that brings a sense of pride and ownership back to their neighborhoods. Margaret Mead, the cultural anthropologist once said “Never doubt that a small group of thoughtful committed citizens can change the world; indeed, it’s the only thing that ever has.” We have that small group of dedicated citizens but we need more. Please join us. Share this commentary with anyone you think may be interested in playing a role in this community effort. NACDC is a 501 (c3) tax exempt agency. You can go to its website and make a donation online. If possible, do it today, funds are needed and we welcome any amount. Each year, we ask at-risk teens to turn from drugs, put down their guns and stay in school without providing the resources, alternatives and loving mentorship that helps make these choices viable. This year, we can offer youth opportunities to earn while they learn valuable life-long lessons. If the pilot program is successful, we can reach many more and even expand the concept so ex-offenders and unemployed adults in disadvantaged communities can be empowered through this community-based economic development model. ST.LOUIS-This summer, the North Area Community Development Corporation(NACDC), a 501(c-3) agency in partnership with When We Dream Together, Inc (WWDT). and other engaged individuals and agencies will launch the Sweet Potato Project in North St. Louis. This pilot program is designed to teach a group of high school-aged children that there are indeed opportunities within their reach. Young people will be paid a minimum wage salary during the summer to plant and harvest sweet potatoes, create a product and learn how to market and distribute what they’ve created. We will nurture the spirit of entrepreneurism in kids who will go out and sell their product(s) and also receive commissions later in the school year. The idea is to show them that there are viable (and legal) means within their communities in which to make money. A network that includes horticulturists, educational professionals, advisors and business people have volunteered their services to implement the program. Antonio French, the Alderman of the 21st Ward has offered space in his ward to hold classes and grow the produce. We are excited to partner with French who has initiated several efforts to revitalize an area that has been besieged with crime, poverty and other long-term socio-economic problems. Additionally, we take great pride in working in a neighborhood in desperate need of innovative ideas aimed at fostering community pride and economic independence. Sweet Potato Project administrators will work to build a core group of consumers derived from churches, secular groups, corporations and people within disadvantaged communities who will commit to purchasing the products. We envision a marketing program, somewhat like the Girl Scout Cookies, Inc., where consumers instinctively understand that their purchases serve a holistic cause. With this project, we hope to a plant a seed of possibilities that can grow to serve many more youth and eventually adult populations in disadvantaged areas. Imagine the positive economic and psychological impact of a large-scale food distribution system in communities where small business opportunities and hope are rare commodities. The forecast for disadvantaged youth in our region is dire. In this post-recession economy, youth unemployment is still disproportionately high, especially in low-income areas. As Washington struggles to reduce the nation’s deficit, safety nets for the poor have been significantly reduced or eliminated. This is the time of year when criminal activity and death rates among young people start to rise. We have little choice but create community-based efforts that stem these negatives in our region. We extend an invitation to all caring individuals and companies in our region to bring their passions, skills and resources to a worthwhile community-based endeavor that will employ and empower young people today. An all-hands-on-deck approach is imperative if we are to convince young people that they have not been abandoned and help is at the ready. There are roles for everyone in this project. We need individuals and professionals in the areas of horticulture, food processing, recipe development, packaging and marketing. We’re looking for people who’ll volunteer a week or more during the summer for consulting, etiquette training, youth development, money management classes and transportation. We’d want these youth to go on excursions to local established businesses such as Sweetie Pie’s, World Wide Technology, Andy’s Seasoning and other entities so they can see people who look like them operating successful business enterprises. Of course, fund-raising is crucial and we are actively engaged in the process of gaining sponsors and donors. 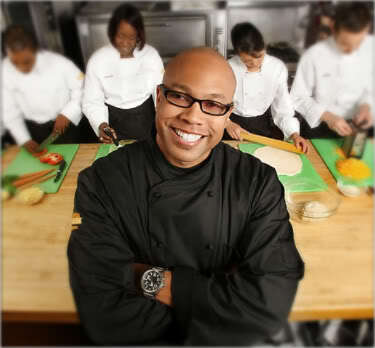 Nationally known TV personality and New York Times best-selling author Chef Jeff Henderson learned about the program during a visit to St. Louis in April and has committed to serve as keynote speaker for a fund-raising event this summer (more info to come). Time is of the essence but we are in steady motion on all fronts. We are confident that everything will be in place to start the pilot project this summer. We have no unrealistic expectations. Massive change will not happen overnight. Crime and the socio-economic factors that fuel it will likely increase this summer. However, we can move in a new direction. Today we can start reclaiming a few of our youth and embed an empowering message of hope and change in long-neglected communities. We invite you to join NACDC and its partners as we launch the Sweet Potato Project in North St. Louis this summer. This is an invitation to empower children and neighborhoods. It’s a community call-out to plant a powerful seed.